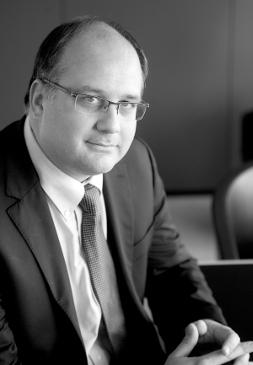 Dr. Raphaël De Coninck is a Vice President at Charles River Associates (CRA), where he heads the Brussels office. Raphaël has provided expert economic evidence and testimony in numerous high profile cases covering antitrust and competition matters (including over 60 mergers and 20 “Phase II” merger investigations, abuses of dominance and cartels), intellectual property and damages quantification. He has advised clients in litigation and regulatory proceedings in front of the European Commission and of national courts and authorities, primarily in Belgium, France, the Netherlands, the United Kingdom, Spain and Switzerland. Raphaël’s experience spans a wide range of products and industries, including pharmaceuticals, IT, consumer products and retail, transport, telecoms, energy, basic industries, financial services, media and entertainment. While at CRA, he has worked for clients such as Universal Music Group, Google, Dolby, Pfizer, Novartis, Mylan, Baxter, Abbott, GE, Virgin Atlantic, Danone, Henkel, L’Oréal, ABF, Ahold Delhaize, FIFA, Cable Europe, Canal+, SFR, Deutsche Bank, JP Morgan and the European Commission.